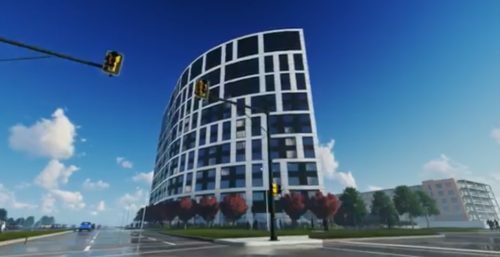 Construction has begun on a 16-storey, 352 unit residential tower promising to change the rental landscape in Fort Richmond. 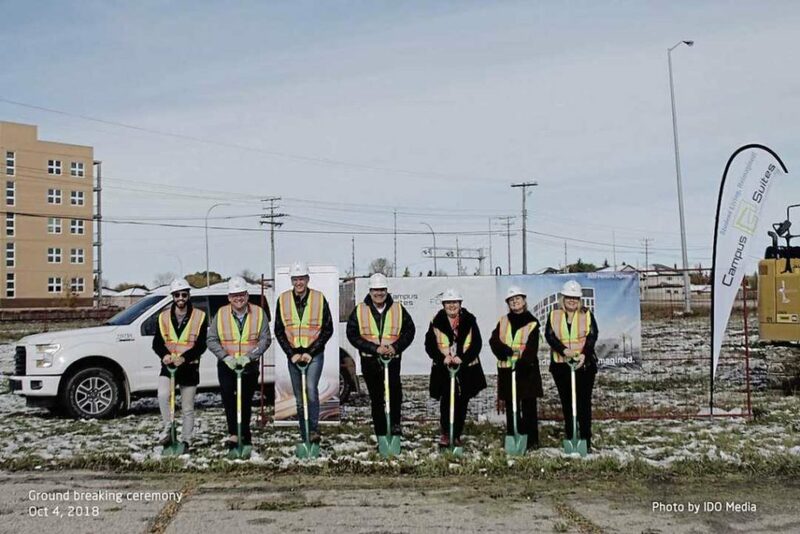 On Oct. 4, representatives of Campus Suites and Forum Equity Partners broke ground on their first Winnipeg development at 2525 Pembina Hwy. The multifamily tower which will have a mix of one and two bedroom “purpose built” suites will offer a new housing option for students and folks working at the University of Manitoba, developers say. The project is an estimated $70-million private investment. The building at the corner of Pembina Highway and Bison Drive is within walking distance of the U of M, the Southwest Rapid Transit Corridor, and is integrated into the emerging City’s Active Transportation network, officials say. The building is expected to be finished by fall 2020.